Designed by Belgrade-based artist, TKV. Revolution at Point Zero is the first exhibition of its kind to position the feminist art movement as the progenitor of contemporary socially-engaged art. The featured projects generate conversations which reframe social practice with intersectional feminism at its core, and support a new feminist-centered theory for defining the field at large. The exhibition reclaims the feminist movement's collaborative, inclusive, community-based strategies as central to contemporary social practices. Revolution at Point Zero was also the springboard for the Feminist Social Practice Manifesto. The exhibition featured women-identified, North American artists whose work focuses on radical acts of the personal and political. Selected works include: Laura Andrson Barbata's Julia Pastrana: A Homecoming, including the gender-subverting, history re-envisioning burlesque performance with Fem Appeal; Marisa Jahn's The Careforce, with a public performance choreographed and performed by activitsts of the domestic labor movement; Las Nietas de Nono's Ilustraciones de la Mecánica, participatory theatre of untold narratives about reproductive health in Puerto Rico; Megan Young’s Longest Walk, with Angela Davis Fegan, an installation of female identifying bodies in public spaces created in protest of politics as usual; and a featured recent work entitled Snow Workers' Ballet by Mierle Laderman Ukeles, one of the pioneers of the social practice movement. Revolution at Point Zero featured extensive programming, including live performance during opening weekend, public events on the Wabash Arts Corridor and artist-led workshops. 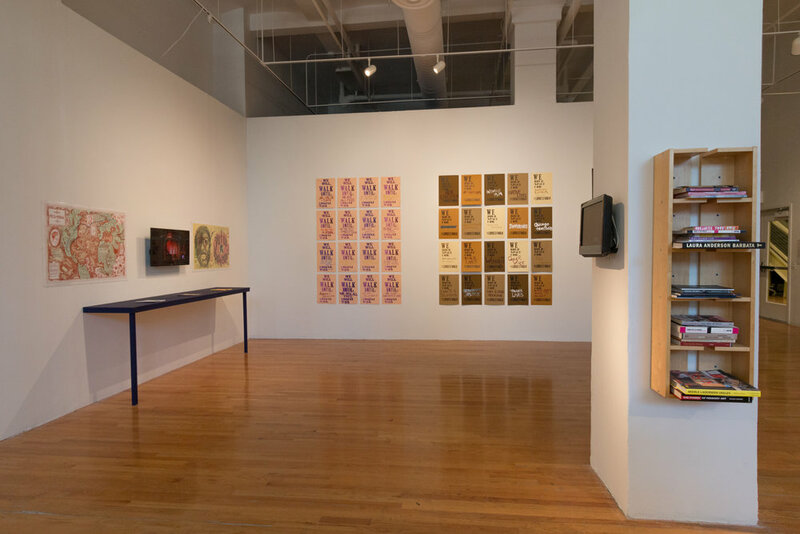 The program was bolstered by a partnership with Open Engagement along with a half-day symposium at Columbia College Chicago which featured artists, scholars, activists and curators from around the country. An archive of the events can be found here. Revolution at Point Zero takes its title inspiration from Silvia Federici’s formative Marxist feminist text of the same name. The curators pay thanks to the Nathan Cummings Foundation / Jane M. Saks for research funding.